The Cablestik® has been designed to accommodate most commonly used cables. 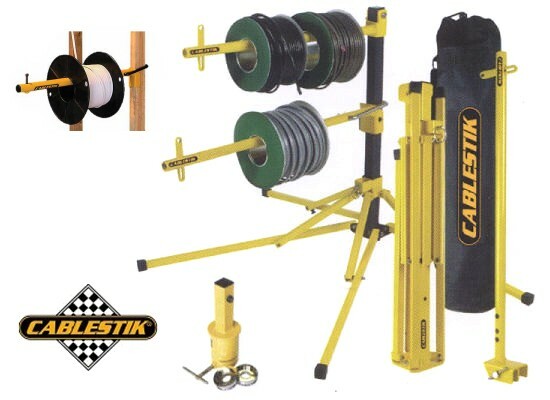 We recommend the attachment of the Cablestik® be as high as possible on the stud, this allows the cable to flow easily over the roof trusses and also alleviates the problem of cable becoming tangled, as it can with conventional floor based rollers. Fast - Installs in Seconds - No Tools Required! 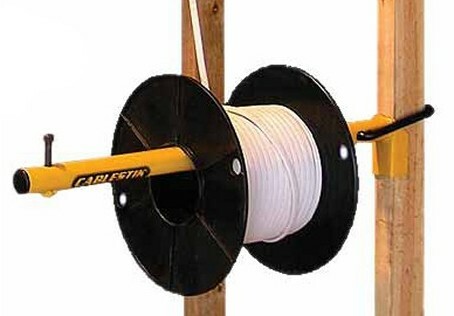 A unique advantage of the Cablestik® comes when using it directly in the roof space. We've all done this: trying to unroll cable in a roof space, it just doesn’t happen, or you think you have the right amount of cable off the drum, get all the way down the other end of the roof and find you’re short, frustrating isn’t it! So take it in the roof and attach it to a truss for effortless cable distribution. You will notice on the Cablestik® a number of holes at the base, two of these enable it to be used on both 2 x 3 and 2 x 4 in. framing studs. 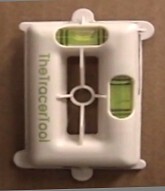 The third hole is for the optional Towbar Attachment. 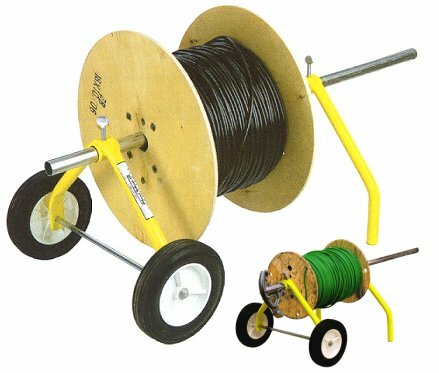 At the other end is a removable threaded stud, this enables the use of cable drums with small centre holes, eg: coaxial, security and telephone cable. 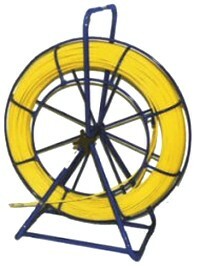 The Cablestik® potential applications are endless, it’s just a matter of adjusting your custom of distributing cables. 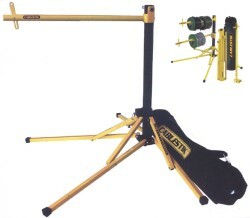 Maximum Load -130lb. The quick action Free-Standing CableStik is a stand-alone unit with a built-in CableStik arm for instant cable dispensing. 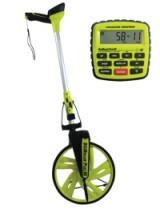 It is compact and easy to set up and use. 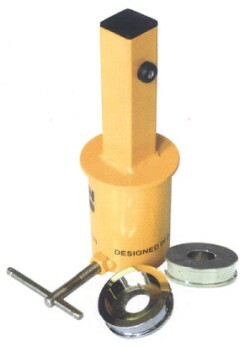 It has been designed to complement the standard CableStik with its ability to hold additional CableStik arms for greater cable dispensing capacity. 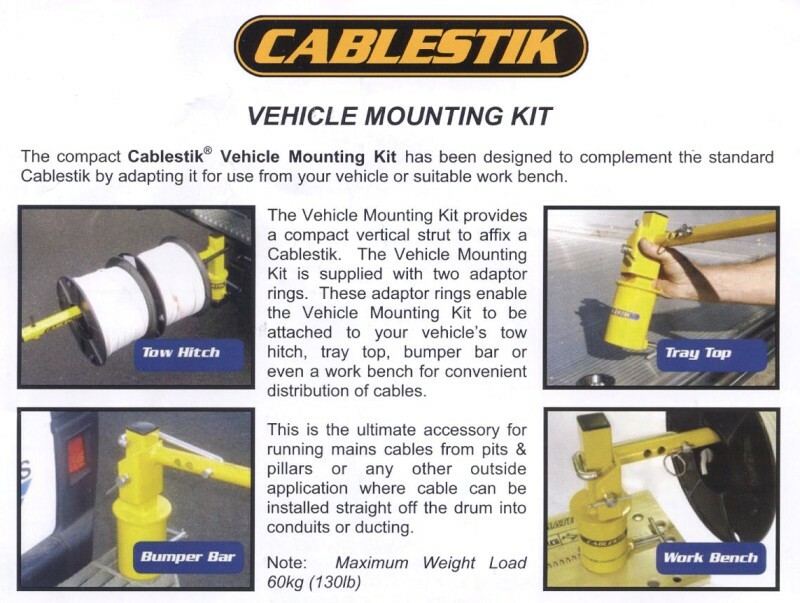 The compact CableStik Vehicle Mounting Kit (aka Hitch Mount) is designed to adapt the CableStik for mounting to a Tow Hitch, Bumper Bar, Tray Top, or other suitable (stable) surfaces.